The Goldprice is holding up with its roadmap from earlier years. 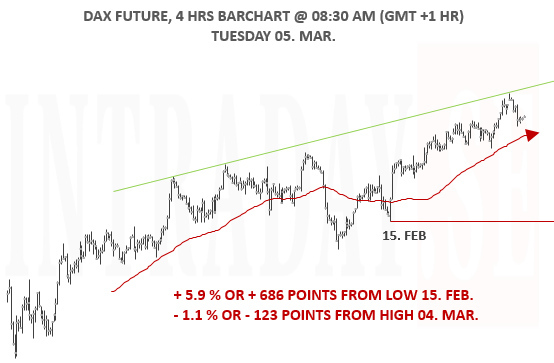 In order to continue on this path, markets needs to keep off / stay above last weeks low @ 1.306. The upcoming seasonal top finds place next Monday February 25th plus minus one tradingday. Only time will show if this proves correct this time around. At the same time, it is interesting to take a look at the price of Platinum to Gold. 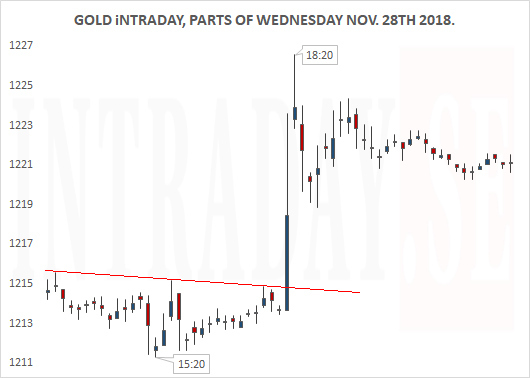 The rear metal has continued to see weakness and the relative strength to Gold is actually - 15.6% since November 8th. At that time, gold traded at 1.223,5. Since 1970, Platinum is currently seeing a value which is - 56% lower than its average relative price to Gold. A ratio this low has never been observed during the analyzed period. This is telling us that Platinum may be dirt cheap at current levels from an historial perspective. The Red solid line in the graph above, is a 50 day moving average which is now + 3.9% above the closing this passed Friday. 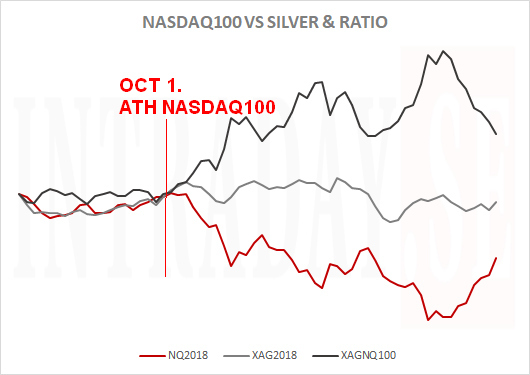 If or rather when markets see Platinum to Gold above this Red solid line, it could be a first and clearer sign that the price of Platinum could be entering a period where it will outperform Gold, or that markets wish to prefer having Platinum over Gold. 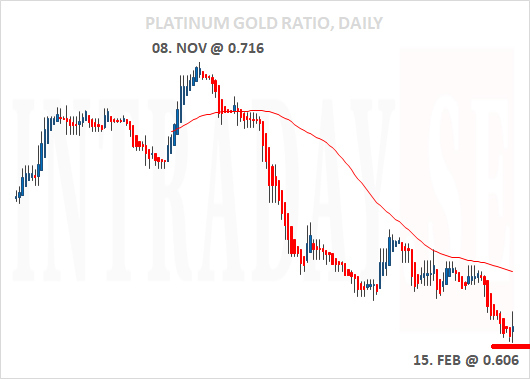 To put preent state into perspective - Gold is now trading USD 97.5 above its November price, and Platinum is trading USD 63,5 lower than its November price. 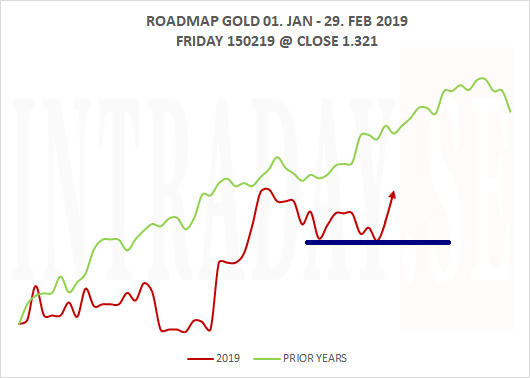 Only time will show when markets wants this equilibrium to level out..
Gold continues to trade strong in accordance to its seasonality - so far. Here is its present state up against the 'roadmap' for the yellow metal based on historical research. The peak for the Green mapped line is 21 calendardays way (Feb. 26th). Only time will show if this proves to be true this year, or if it only belongs to the past. Remember to always keep a preferable stop loss in place at your suited pricelevel. 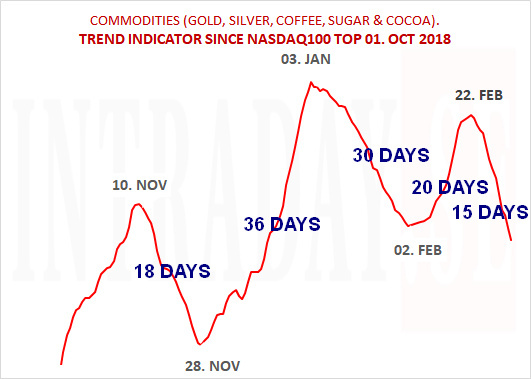 Research shows that the Goldprice tends to trade higher through the last two days of the month into the first two days of the next month. 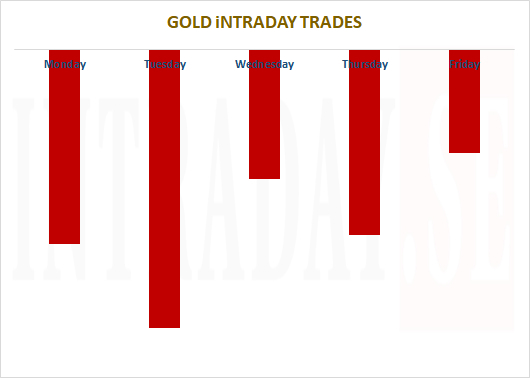 This 4-days trading period sees higher Gold in 4 out of the last 6 'turn of the month' cases. 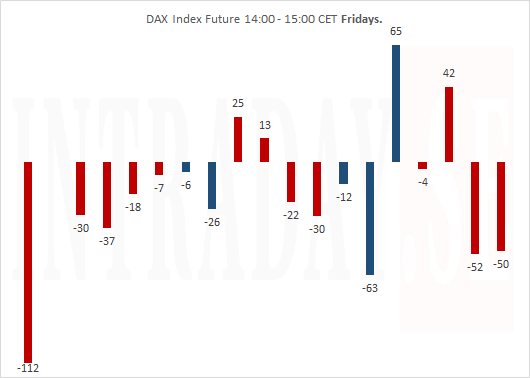 Summing all last six four days periods makes up + 1.3%. 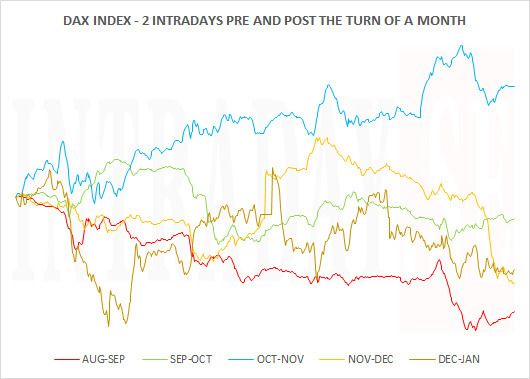 Remeber that what happened in the passed is not equal to what will happen in the future... but these are interesting observations in conjuction to what really happens when a trading month comes to an end, to start another. 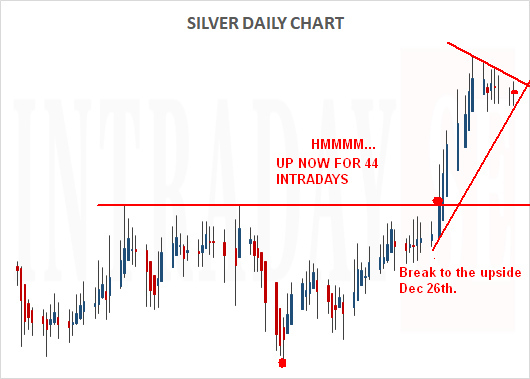 Silver has now traded strongly since December 26th, when it broke up through USD 14.90 resistance. 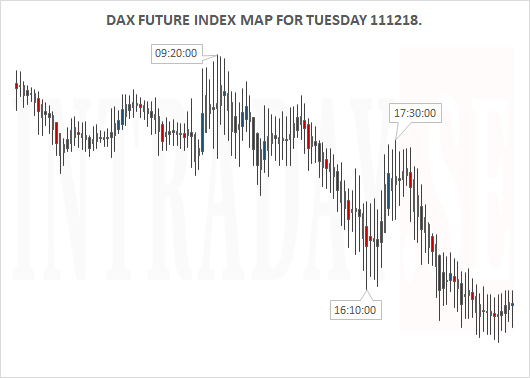 Totally, the upturn has lasted 44 tradingdays and + 10.40% since it found the 13.90 level low on November 14th. 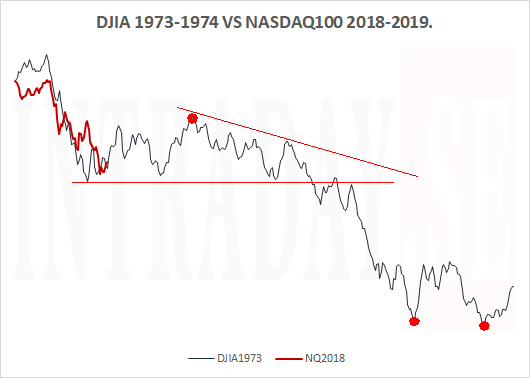 This proved to be a retest of the September 11th low, and thereby forming a double bottom. 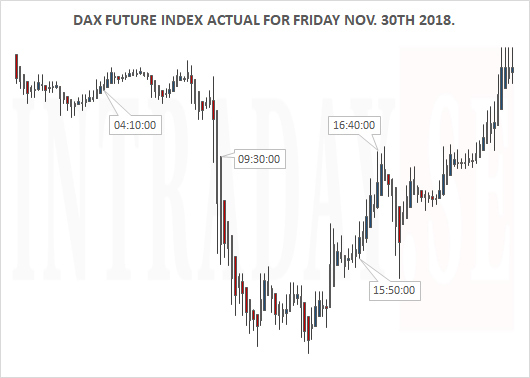 Going forward, the industrial metal needs to trade outside its current 8 days long tight trading-range...and follow through to determine next course. 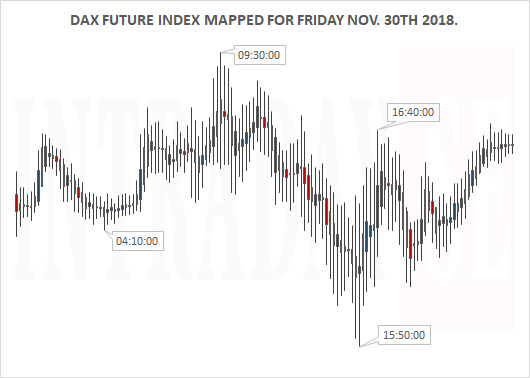 As for the remainer of the week, Thursdays and Friday historically shows to be strong intradays. Time will show, and always remember stop loss wherever preferred. 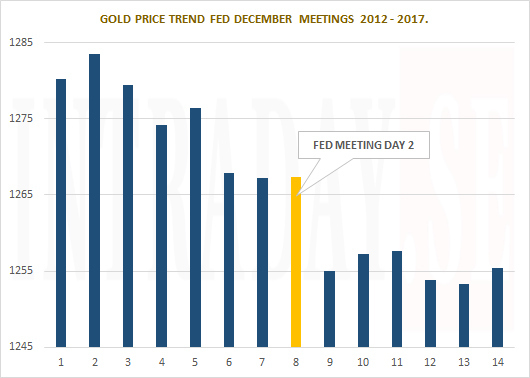 Status Goldprice (14:00 CET) in relation to December Fed meeting yesterday is sited below. The vertical red line is placed '2 hours after US Open tomorrow', Friday. 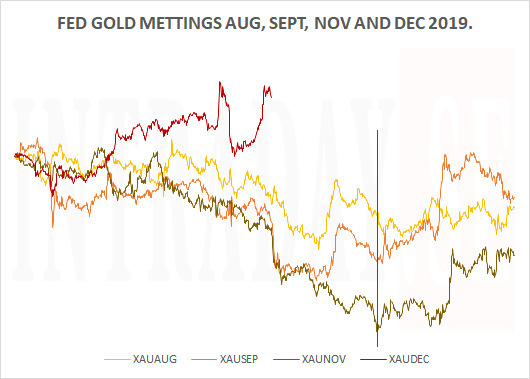 The Red graph illustrates where Gold is presently trading compared to the Fed meetings in Aug., Sept., and Nov.. So far Gold is trading inverse (stronger) post the Fed meeting yesterday, compared to the events earlier this summer and fall. 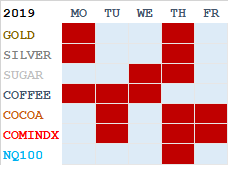 The chart do outline the next 4 tradingdays for Aug., Sept., and Nov.. 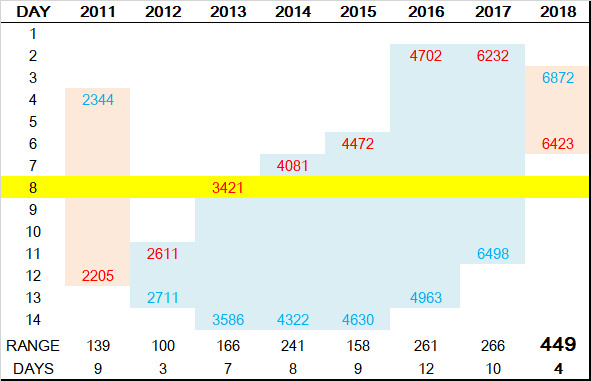 If current strength continues, it is also inverse to earlier December Fed meetings researched from 2012 - 2017 which shows weakness post December Fed meetings (see post incl. 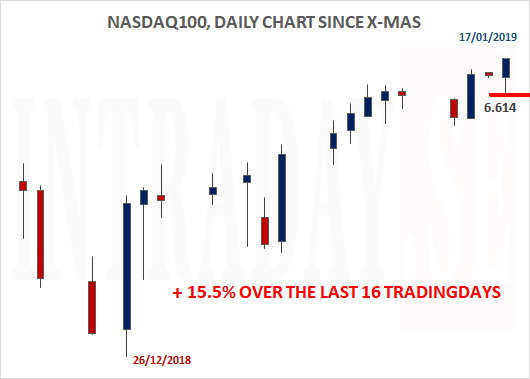 table from the 18.12.18). 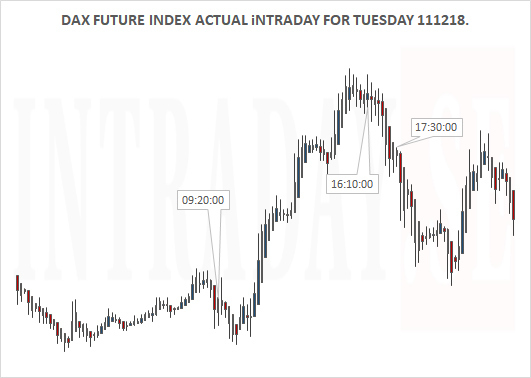 The overviews below might give clues to how it is likely for markets to develop over the next few intradays. 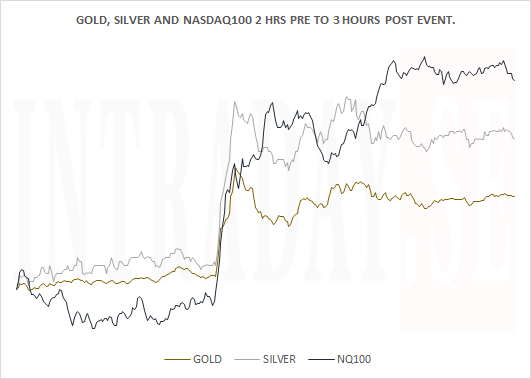 The tables show Gold's and Nasdaq100's price change pre and post passed a December Fed meeting. This December two day meeting starts today and finishes tomorrow Wednesday 19th. 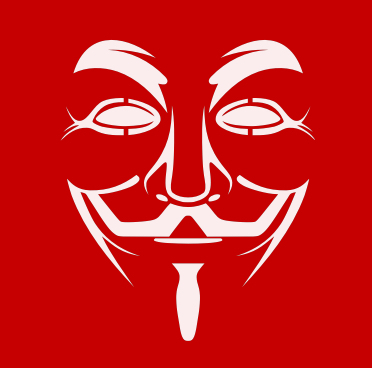 See the event live here Wednesday 19th at 2:30 pm (GMT + 1 HR). 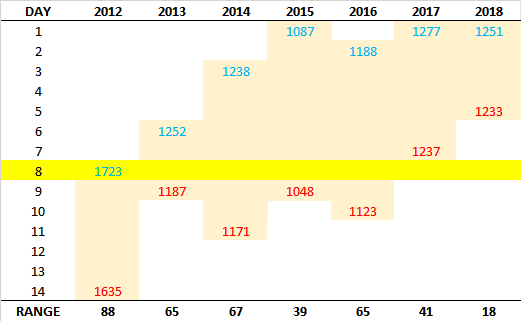 The tables shows day number 8 as tomorrows Fed day and is highlighted in yellow. In general, Gold points to a low after the fed meeting except for last year. For this year 1.251 is the high price to watch so far, and 1.233 as the low for the analyzed period. Gold range easily more than USD 40 from high to low or low to high. 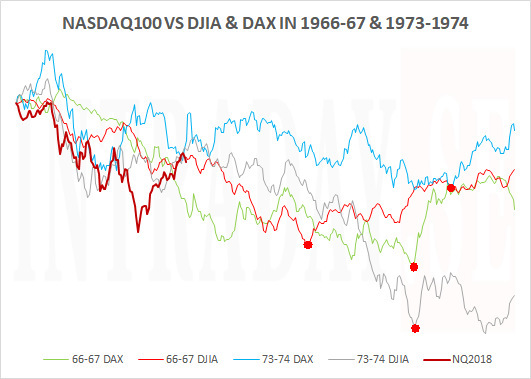 Nasdaq100 noted below, shows strength for a duration of 7 - 12 tradingdays lasting a few days post the FED meeting. The yellow line is also here noted on day 8 which is 'equvanlent' with tomorrow. 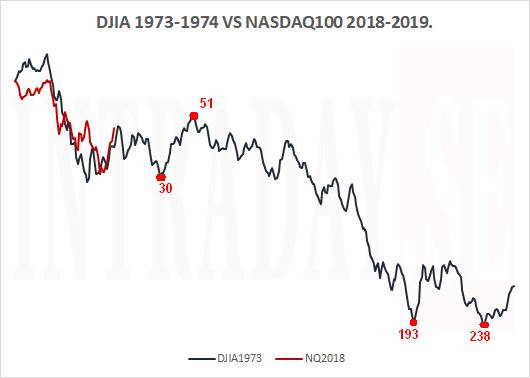 When looking at the table, it could be relevant to see that Nasdaq100 have already fallen 450 points for this December. Only time will show if this year is different. Always remeber to hold a preferred stop loss in place at all times. Next Wednesday, FOMC will hold its last Federal Reserve meeting of 2018. In conjuction to these meetings, there are larger than normal gold price fluctuations making great short term trading oppertunities. 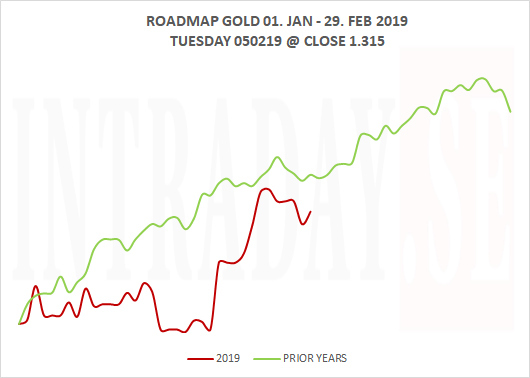 How much gold price change should be expected and in what direction? 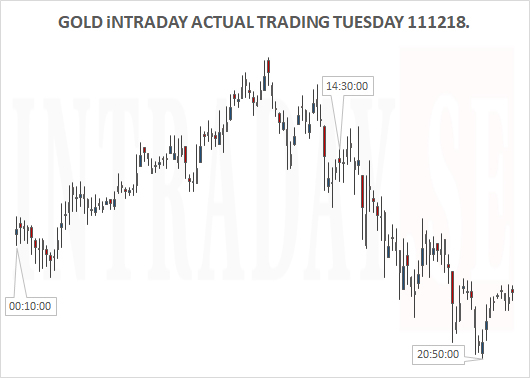 The diagram below shows how gold tend to swing the days pre and post a December Fed meeting. 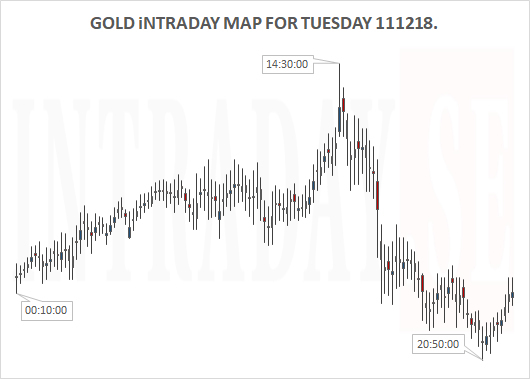 Today 12.12, markets are trading day 2 in the overview, were gold has the largest intraday stretch on average from low to high or high to low (the last 6 years). 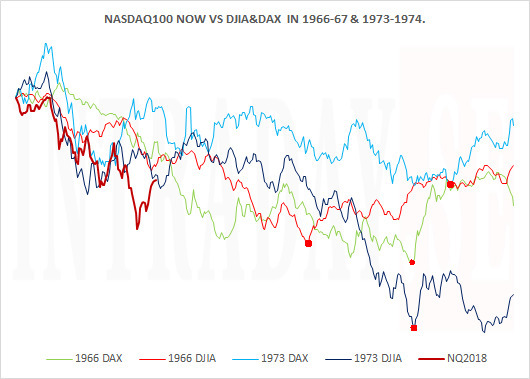 It has not been less than USD 10 the last years, rather closer to USD 20. Number 8 in the overview, is 'equvalent' to next Wednesday the 19th. 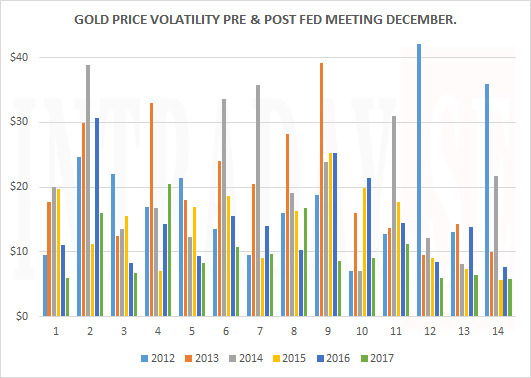 Looking at the gold price trend through a December Fed meeting, markets on average see a fading price development over the next 2 weeks. See chart below. Next Wednesday is marked in yellow. 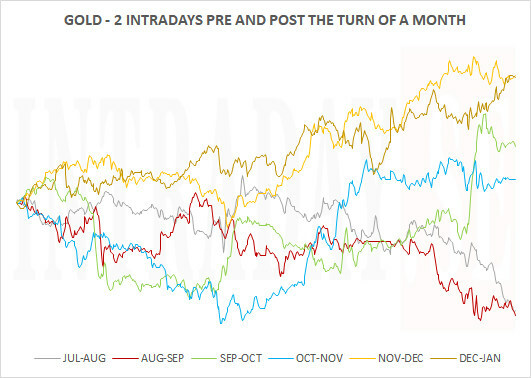 The last years, gold has struggled to find buyingpower through these December meetings, as stockmarkets have been strong. But who knows, maybe it is all different this year..